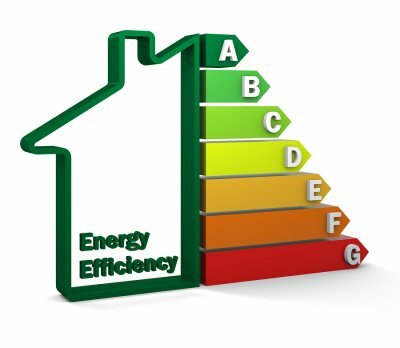 Energy efficiency is a major priority for today’s homeowners. If you want to reduce your energy bills, while also helping to save the environment, consider investing in a new garage door . Purchasing a brand new garage door near Amelia Beach can provide your home with a dramatic boost in efficiency. As you are comparing models for your garage door installation, it is critical to keep the basic principles of efficiency in mind. Here is an overview of the qualities of an energy efficient garage door. The energy efficiency of a garage door is represented through a measurement of its R value. R value is calculated by looking at factors such as insulation, material, and heat transfer resistance. Garage doors with higher R values offer better energy efficiency, throughout the seasons. As you are comparing various garage doors for your upcoming installation, look for a model that boasts a high R value. Your garage door company can provide you with tips and trick for evaluating R values of various garage doors. An energy efficient garage door needs to be constructed out of a material that is thick and sturdy. Some of the most popular types of garage door materials include steel, aluminum, and wood. If you are seeking the best efficiency from your new door, consider investing in a unit that has been constructed out of low gauge steel. When thick, low gauge steel is combined with insulation materials, it will provide fantastic energy efficiency. If you are seeking a natural wood garage door, composite wood will provide better efficiency than solid wood panels. When energy efficiency is a top concern for your new garage door installation, you may want to choose a model that comes with added insulation features. Many of today’s garage door manufacturers add polyurethane foam insulation to their new doors. Polyurethane foam will prevent heat from transferring between the surface of the garage door and the outside air. The thicker your door’s insulation, the better energy efficiency it will provide for your home. 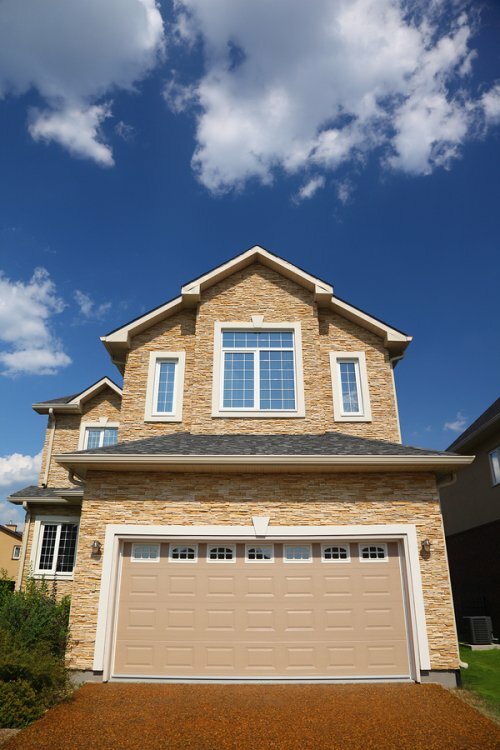 Whether you are building a new home, or renovating your current garage, you will want to carefully consider the new garage door that you install in your space. The quality and security of your garage door installation will depend on the types of materials that have been used to craft your new garage door. A garage door company near Amelia Beach will be able to answer any questions that you may have about the products that are available for your garage. Here is a look at some frequently asked questions about garage door types and materials. 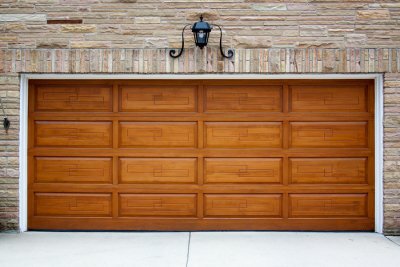 What Are the Most Popular Types of Garage Door Materials? Garage doors can be constructed from a wide assortment of materials, including natural wood, metal, and synthetics. One of the most popular materials for today’s garage doors is aluminum. If you are looking for a garage door that is more durable and storm-resistant, you may want to purchase a steel door. Vinyl and wood doors are also terrific options for your property. 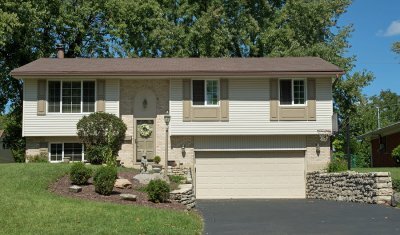 How Do I Choose Between Different Garage Door Types? The type of garage door that you choose for your property will depend on your personal preferences, as well as the layout of your space. Raised panel garage doors roll upward, and have decorative panels on their surfaces. For a sleek and contemporary look, you can consider a flat panel garage door. Carriage doors swing outwards, and will provide your garage with an elegant appearance. 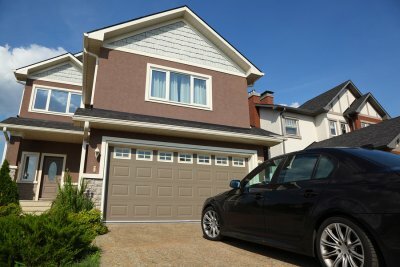 What Are Some Factors to Consider When Choosing a Garage Door? Ultimately, your choice of garage door will come down to your personal style preferences, as well as your requirements for durability and stability. Florida residents often choose hurricane proof garage doors that have been engineered to withstand high winds and other extreme weather conditions. An insulated garage door can also help to improve the efficiency of your HVAC system. 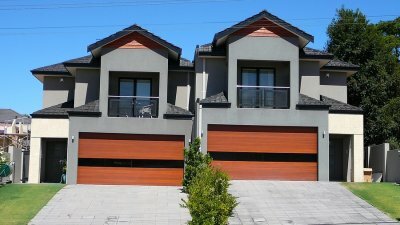 To make sure that you are picking out the right garage door for your property, talk to a garage door installation expert that serves your local area. When you schedule garage door repairs in Jacksonville, you may want to talk to your technician about the possibility of including a safety cable installation in your garage door spring system . Safety cables are designed to keep the garage door spring from flying out of position in the event of a serious maintenance emergency. 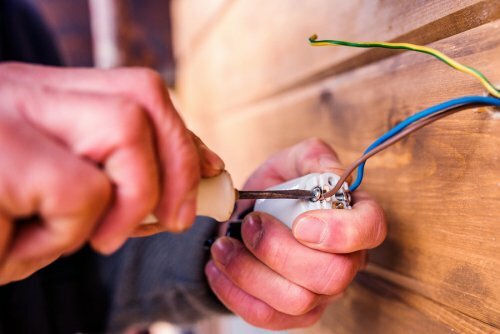 Taking the time to install safety cables can also help you prevent the need for significant garage door repairs in the future. Once you have decided that safety cables are necessary for your garage door, your garage door experts will be able to quickly and easily install your new cables. 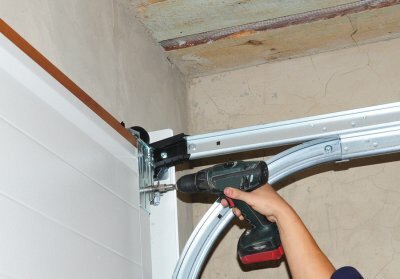 The cable is designed to weave through the spring and track, without getting in the way of the system as it lifts and lowers the garage door into position. Spending the time and money to install safety cables can help you prevent thousands of dollars of damage to your car’s windshield or exterior paint. Whether you’ve had your door for years or you just invested in a new garage door in Amelia Beach, FL, it’s important that you know how to keep it in shape. One factor that you should consider is the balance of your door, which can play a significant role in terms of your home’s comfort, energy efficiency, and even security. You don’t need to be a garage door expert to understand the importance of balancing your garage door, and it helps to understand how to check. Here are some quick tips for checking a garage door’s balance. A balanced garage door should be flush with the ground when it’s closed, so the easiest way to check is to take a step back and see if it looks flush to the naked eye. If your garage door is just slightly off balance, you might need to take a closer look. However, a door that needs significant balancing help may be obvious at first glance. When you turn off the garage door opener and pull open the garage door manually, it shouldn’t give you too much trouble. If it doesn’t stay in position a few feet above the ground, call your garage door expert. Repair or Replace: Which Is Right for Your Garage Door? There are a few different factors to look at when your garage door stops working as efficiently as it once did. You can use these factors to help determine whether you’re in need of garage door repair in Fernandina Beach, FL or it’s time for a new garage door altogether. Think about how old the door is, what kind of damage you’re dealing with, and how much it might cost to get all of the necessary repairs done. Remember, you can always ask the garage door experts for help. Keep reading to see if repair or replacement is right for your garage door. There’s no use spending a bunch of money to fix a garage door that has been holding on by a thread for years. If yours is on its way out and suffers some kind of malfunction, take this time to invest in a new garage door. New garage doors come with many benefits that older models don’t, so a new one could be a nice upgrade for your home. If your door is on the younger side, however, it may be a better idea to seek repair instead. Another factor that may influence whether you should seek repair or garage door replacement is the extent of the damage that’s been done. Oftentimes minor cosmetic damage can be taken care of, but more severe mechanical problems might warrant garage door replacement. You can always have your garage door experts take a look at your door to determine exactly how bad the damage is and decide whether repair or replacement is the way to go. As is the case with any other broken appliance, it’s a god idea to consider the cost of repairs versus the cost of replacement. If a repair won’t set you back too much, it might be worthwhile. If your garage door is in such need of repair that the costs might rival that of a new garage door, on the other hand, it’s probably a better idea to go ahead and invest in a new one. Whether you are planning on selling your house in the near future, or you just want to make sure that your property is the nicest on your block, you may want to embark on renovations that will increase the curb appeal of your home. A company that offers garage door installation in Jacksonville can help you choose a new garage door that enhances the beauty of your home’s exterior. Along with garage door installation, there are many other projects that can help you improve your home’s exterior look. Here are some handy tips that will help you increase the exterior appeal of your home. If your current exterior paint is worn out, peeling, or starting to look dated, it may be time to paint the outside of your home. A fresh coat of paint can provide your home with fantastic appeal. When you are picking out a new paint color, you will want to choose a shade that is both beautiful and timeless. In order to make your home look better from the street, you may need to update your landscaping. Shrubs and trees that are overgrown or unhealthy will detract from the overall appearance of your property. When you are updating your landscaping, you may also want to consider replacing any dying grass with brand new sod. A landscape designer can help you pick out shrubs, trees, and other plants that can provide your home with a beautiful new look. Your garage door is one of the first features that a person will see when he or she approaches your house. When your current garage door starts to look old or faded, it might be time to consider a replacement. By purchasing a new garage door, you will be able to provide the exterior of your home with a gorgeous new look. As you are comparing new garage door models, you will want to choose a door that matches the architecture of your home.